….Although the Swedish investigation has now been dropped, the threat of arrest persists. The London police have indicated they will arrest Assange for failure to appear in a London Magistrates Court if he leaves the embassy. Britain would then likely extradite Assange to the United States for possible prosecution. Attorney General Jeff Sessions declared in April that arresting Assange is a “priority” for the Department of Justice, even though the New York Times indicated that federal prosecutors are “skeptical that they could pursue the most serious charges, of espionage.” The Justice Department is reportedly considering charging Assange with theft of government documents. A decision to prosecute Assange would mark a 180-degree change of direction for President Trump. During the 2016 presidential campaign Trump declared, “I love WikiLeaks” after it published confidential emails from the Democratic National Committee that some U.S. intelligence agencies claim were obtained by Russian hackers (although Assange denies getting the material from Russia). CIA Director Michael Pompeo called WikiLeaks “a non-state hostile intelligence service often abetted by state actors like Russia.” Pompeo said, “We have to recognize that we can no longer allow Assange and his colleagues the latitude to use free speech values against us.” Pompeo declared, “Julian Assange has no First Amendment privileges. He is not a U.S. citizen.” But, the Supreme Court has long held that the Constitution applies to non-Americans, not just U.S. citizens. And, when the Obama Justice Department considered prosecuting WikiLeaks, U.S. officials were unable to distinguish what Wikileaks did from what the Times and Guardian did since they also published documents that Manning leaked. WikiLeaks is not suspected of hacking or stealing them. As Elizabeth Goitein, co-director of the Brennan Center for Justice’s Liberty and National Security Program, wrote at Just Security, Comey was drawing the line “not between leaking classified information and publishing it, but between publishing it for ‘good’ reasons and publishing it for ‘bad’ ones.” And, “[a]llowing the FBI to determine who is allowed to publish leaked information based on the bureau’s assessment of their patriotism would cross a constitutional Rubicon,” Goitein wrote. In the U.S. government’s continued legal pursuit of WikiLeaks, there is much more at stake than what happens to Julian Assange. There are principles of press freedoms and the public’s right to know. By publishing documents revealing evidence of U.S. war crimes, emails relevant to the U.S. presidential election and proof of CIA malfeasance, Assange did what journalists are supposed to do – inform the people about newsworthy topics and reveal abuses that powerful forces want concealed. 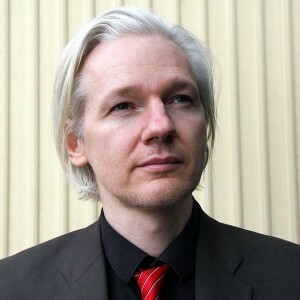 Assange also has the right to freedom of expression under both U.S. and international law, which would further argue for Great Britain dropping the failure-to-appear warrant and allowing Assange to freely leave the embassy and to finally resume his life. The recent ruling by the UN Working Group on Arbitrary Detention has created quite a storm in and outside the human rights world. At first sight it would indeed seem almost ridiculous to maintain that Julian Assange, who is in ‘sel-imposed’ exile in the Ecuadorian Embassy, is being arbitrary detained. But a bit of reflection (which is not what the UK, Sweden practiced) would in order, especially as the countries involved still have a chance to comment the decision. 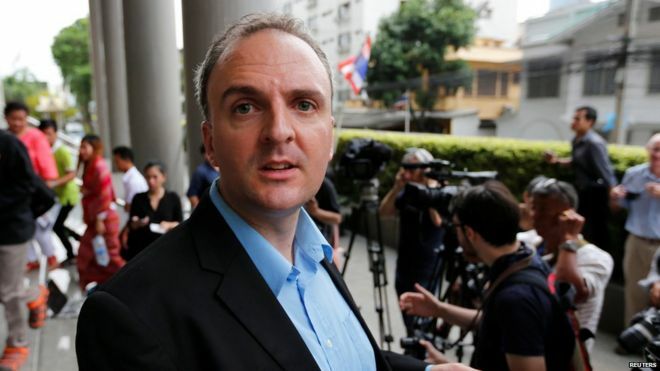 The General Council of the US-based NGO Human Rights Watch, Dinah PoKempner, wrote a clarifying piece on 5 February 2016 under the title: “On Assange, Following the Rules or Flouting Them?“. It does certainly help to see the decision in this context, in particular the consideration that Assange (whether one likes it or not) was recognized as a refugee by Ecuador and thus should be free to move. That is because WikiLeaks revealed the embarrassing diplomatic cables that Chelsea Manning leaked. And if you look at Manning’s fate, Assange has plenty to fear. 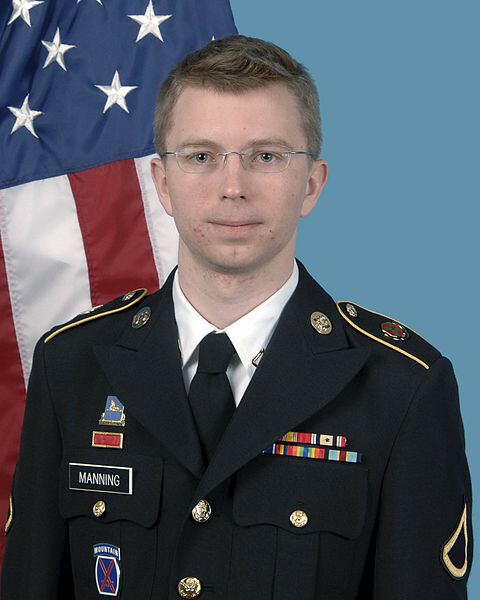 Manning was abused in pretrial detention, denied the defense that the public interest justified her disclosures, and sentenced to 35 years. A secret US grand jury has been investigatingAssange on related Espionage Act charges for close to five years. Neither Sweden nor the UK will promise Assange he won’t be extradited, and both are close US allies in national security and intelligence affairs. [The working group is composed of five experts selected by the leadership of the U.N.’s Human Rights Council for three-year terms, renewable only once. Members are unpaid. The group is among 55 “special procedures” authorized under the council, which are mostly special rapporteurs on issues ranging from the rights of albinos to those of indigenous peoples. The panel was set up in 1991 by the former Commission on Human Rights “to investigate instances of alleged arbitrary deprivation of liberty,” according to U.N. human rights office. It meets three times a year in Geneva for a total of no more than 20 days — limited because of U.N. budgetary reasons. The chair is international law professor Seong-Phil Hong of Korea; Mexico’s Jose Guevara is a human rights specialist at Carlos III University in Madrid and Setondji Roland Adjovi of Benin is an assistant professor of African affairs and international law at Arcadia University near Philadelphia in the United States. Vladimir Tochilovsky, an expert in international criminal justice who has worked with the International Criminal Court, was the lone dissenting voice. Human rights expert Leigh Toomey, who was appointed last year, recused herself because she, like Assange, is Australian. American Civil Liberties Union sees Snowden as a Human Rights Defender! On 11 September, 2013 UPI in Geneva carried an interesting but surprisingly-little-noticed item under the title “U.N. expert says whistle-blowers serve democratic principles“: Human rights defenders and whistle-blowers need protection in order to ensure democratic and international order, a rights envoy said from Geneva. Alfred de Zayas, U.N. special envoy in equitable order, told the U.N. Human Rights Council access to “truthful and reliable” information from diverse sources is essential for people to play an effective role in public affairs. German protesters gathered last weekend for an event dubbed “Freedom Not Fear.” Tens of thousands of demonstrators turned out in Berlin to rally against the U.S. National Security Agency and Britains signals intelligence program gathering of databases of peoples email, online chat and Internet browsing histories without prior court authorization. “I am dismayed that notwithstanding lip service to democracy, too many governments seem to forget that in a democracy, it is the people who are sovereign,” de Zayas said in his prepared remarks Wednesday. NSA contractor Edward Snowden was granted temporary asylum in Moscow. He faces charges in the United States, including two espionage-related counts, for leaking information about a surveillance program dubbed Prism. De Zayas said human rights defenders and whistle-blowers deserve “specific protection” from prosecution. “[They] have in some contexts been accused of being unpatriotic, whereas they perform, in reality, a democratic service to their countries and to the enjoyment of human rights of their compatriots,” he said. via U.N. expert says whistle-blowers serve democratic principles – UPI.com.